Multichannel Pipettes are the easiest way to increase your output and productivity, while reducing assay, testing and production costs at the same time. By purchasing a multichannel pipette for your laboratory, you can instantly increase pipetting productivity by 8-, 12-, or even 64-fold (depending on whether you prefer an 8-channel,12-channel, or higher channel pipette). Instead of spending hours transferring samples to plates, you can reduce the task to minutes. Multichannel pipettes can increase the throughput of your lab and free-up valuable lab time to be spent on tasks other than time-consuming and repetitive pipetting. Check out some of the great models below. The Eppendorf Research plus Multichannel is an award winning pipette designed to meet the highest needs in accuracy and precision. It is completely ergonomic, flexible, & durable and an asset to any laboratory. The mLine Advanced Multichannel Pipette is Biohit’s most highly designed pipette, ensuring accuracy and comfort in even long pipetting series. The mLine Advanced Digital Pipette is extremely light weight and created to prevent RSI. With perfect sealing, easy volume setting, and consistent precision, the multichannel mLine is extremely high performing and the easiest pipette to maintain. 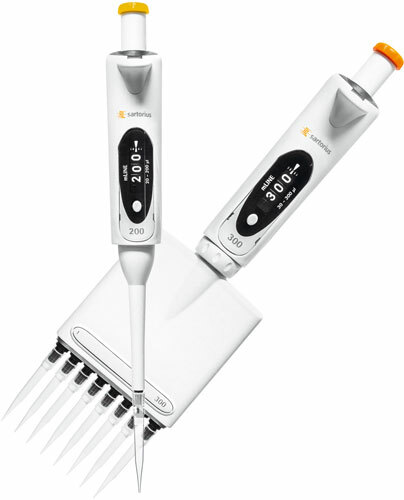 The multichannel mLine pipettes works with volumes between 0.5 µl to 300uL. 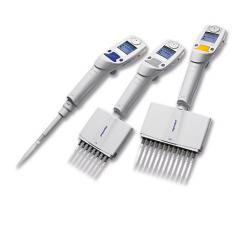 The AccuPet Pro Multichannel Pipette comes in a variety of 8- and 12-channel pipettes (0.5-10 ul, 5-50 ul, 20-300 ul.) This digital pipette is ergonomically designed and allows the user to pipette more comfortably and efficiently. 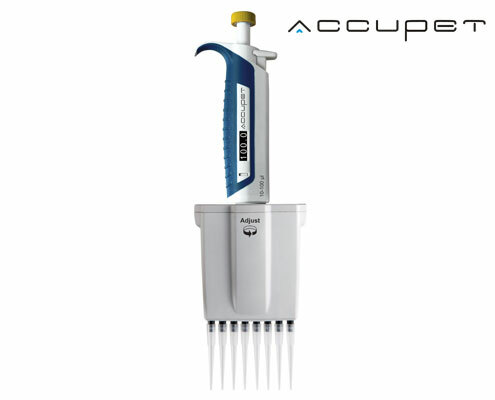 The AccuPet Pro is designed with features such as the EasyCal technique, the DirectVue Volume Indicator, and an Ergonomic Handle Design in order to optimize pipetting.